As always, thank you for your prayers. I am in the middle of doing visa work. Visa work is an ongoing process and is a time of stress and of holding one’s breath. Thailand requires visas to be renewed each year and recently added an additional step. So far all is going well. We have to do a lot of paperwork, but overall Thailand is easier than some other countries. The king of Thailand recently died. He began his reign in 1946 and was the world’s longest reigning monarch. He was highly respected because he spent a lot of his time helping the poor people of Thailand. He started many projects aimed at helping Thailand’s poor farmers. 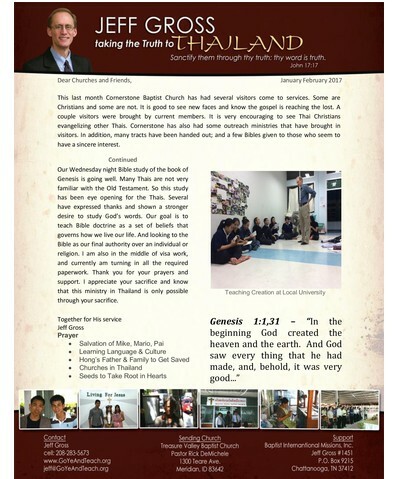 “And the word of the Lord was published throughout all the region.” We have an ongoing tract ministry here in Thailand, and recently finished a new batch of tracts. 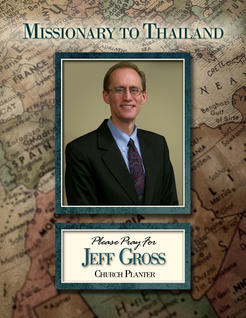 We printed 10,000 tracts and have sent several thousand to others churches as well. There is another missionary that does an excellent job bringing in Thai Bibles. So, we are blessed to have a good supply of God’s word to give out. Sowing God’s word is very important to us; therefore we try to give God’s word to as many people as possible. It is my prayer that this will be fruit to your account. Thanks again for your prayers. Take heed therefore unto yourselves, and to all the flock…to feed the church of God, which he hath purchased with his own blood.” Praise the Lord for the local church. The importance of the church can’t be overstated. It is the pillar and ground of the truth. Sila Baptist Church in LamPhun continues to go forward. Next month will be the one year anniversary of the church. We are currently doing a series of lessons from the Old Testament. Here in Thailand many Christians don’t carry a Bible with them, and if they do a lot of times it is a New Testament only. Consequently, I enjoy teaching from the Old Testament and encouraging Thai’s to read the entire Bible. “Every word of God is pure” and “is profitable for doctrine”. To help build relationships and meet new people, we recently did a one day English seminar. We continue to pray for and follow up on those who came. In addition, I had a good opportunity to teach the Bible at a local university Christian group. The Lord opened this door through two young men that have been coming to church with me. Both attend the university. Thanks for your sacrifice, prayers, and support. May the thanksgivings of many rebound to the glory of God. “Talking to men for God is a great thing, but talking to God for men is greater still.” E.M.Bounds It is amazing that God invites us to pray and even says to “come bodly unto the throne of grace”. This past month we did a series on prayer in the Lamphun Church. It was a great reminder of the importance of prayer and how powerful prayer is. Some principles of prayer were taught. One obvious point given is that we simply must pray. The Bible says “ye have not, because ye ask not”. In addition, we must be holy. If we want a holy God to hear and answer our prayers, we need to be clean. It sure challenged me on my prayer life, and I pray the church was challenged as well. The Holy Spirit continues to shape and mold us into the image of Christ through prayer, His word, and the church. We also made a trip to the boys’ home. I invited a Thai pastor to come with me to the home, and we did two days of Bible studies. There was a good attentive spirit. It seemed like the young men were encouraged. Thank you for all your prayers. 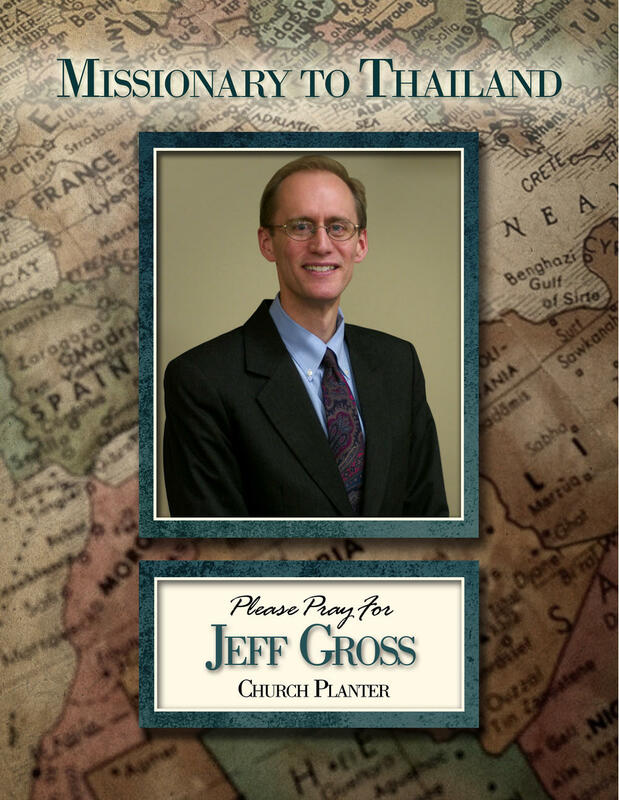 I appreciate your prayers for this ministry in Thailand. Without God in the work it will not amount to anything. We want God’s hand in everything we do. “And when he had given thanks, he brake it, and said, Take, eat: this is my body, which is broken for you: this do in remembrance of me.” LamPhun Baptist Church is doing very well. We are just past 6 months since starting. We have a regular group attending, and have had a number of visitors. Some saved and many unsaved. We continue to build relationships with those that have come. We have a few that come to church from time to time, but have not accepted Christ yet. Our prayer is that we will not only see them get saved but continue to grow in the local church. We also had our first communion service. For some it was their first communion. So, we spent some time explaining the ordinance of communion. It was a good time of inner reflection. There was an excellent spirit and we seemed to grow closer as a church family. We praise the Lord for the church and for receptive hearts. In addition, I have recently done some volunteer English teaching at a local university. This has led to one young man coming to church with me when he can. He is already a Christian, however his family is not. As always I appreciate your prayers and sacrifice for this ministry. May God bless your labors. “I looked on my right hand, and beheld, but there was no man that would know me: refuge failed me; no man cared for my soul.” Recently the Lord opened a door to minister at a boy’s home in a nearby province. This verse comes to mind when ministering there. Because few people if any care for the young men, and certainly none care for their souls. However, the Lord knows and cares. I continue to make visits to preach and teach at the home. Recently, I also invited them to Chiang Mai to play soccer. We rented a soccer field and had a four team playoff. The teens don’t often get a chance to leave the province, so they were well pleased. Like most teens, they loved the competition. In addition, we are currently working on a tract project. We have decided to print two tracts in the Thai language. The necessary print ready work has been finished for the first tract and five thousand have been printed and are ready for distribution. A couple other ministries liked what we had done, so a couple thousand were sent to them as well. We are now working to get a second tract print ready. It will be printed when completed. Thanks for the many prayers made for this ministry. I appreciate you and your prayers and sacrifice, and pray the Lord will richly bless you as well. family member brings fear to the family. In return the family will accuse the new Christian of betraying family, culture, and country. Family honor is very important here, so it is hard for a new Christian. They don’t want to do something that will bring dishonor to the family. Some families may go as far as breaking off contact with the Christian family member. These consequences can weigh heavily on a new Christian and even on someone deciding to become a Christian. So it was encouraging to see these Thai’s get baptized. In addition, the service was a great testimony to the lost. Thanks and praise be to the Lord Jesus Christ. As ambassadors for Christ we have great terms. Jesus Christ already paid our sin debt becoming sin and dying for us at Calvary. Now in “Christ’s stead” we have the free gift of eternal life to offer. 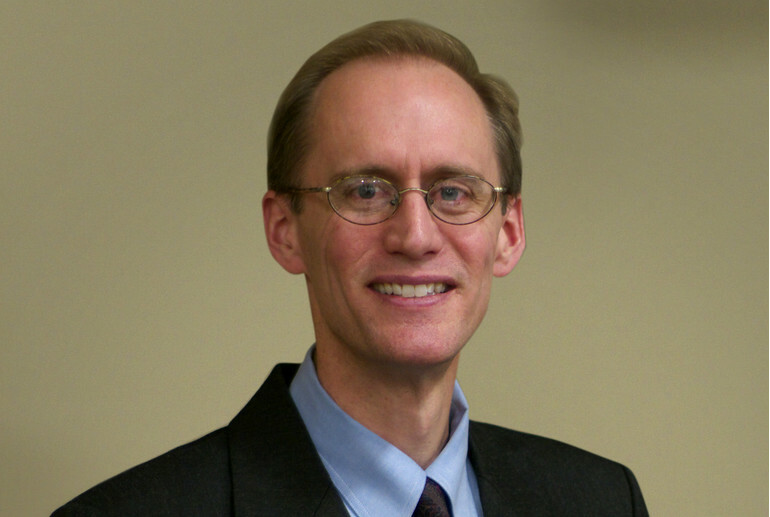 The Lord opened a door for me recently with a children’s home. It’s a small home in the nearby province of PhaYao that cares for ten teen age boys. I’ve been able to do some preaching and Bible studies with them, as well as host a soccer game. The studies went well and many were encouraged. In addition we were able to give each teen a new complete Thai Bible, as they only had a few New Testament Bibles. Several of the teens are saved, while others are still unsaved. It is very encouraging to see these young men receiving Bibles and hearing the gospel. What a blessing to be an ambassador to bring God’s word and the good news of eternal life. I also continue to hold home Bible studies. Many good seeds have been sown. Paul said “For a great door and effectual is opened unto me, and there are many adversaries.” Doors are opening but there are also many adversaries here in Thailand. So, I thank you much for your prayers as I’m sure they are the best defense against the adversaries here. “Honor thy father and thy mother; (which is the first commandment with promise;) Eph. 6:2 In Thailand, the Queen’s birthday (currently in August) is observed as Mother’s Day. The churches here in Thailand conduct a special service for children to honor their mothers. The tradition in this culture is following the preaching; mothers will sit in a semi circle in front of the church. The children will then come forward to give respect unto their mothers by getting lower than their mom and placing a necklace of flowers around her neck. It is a show of respect when the younger person gets lower than the elder. “Children, obey your parents in all things: for this is well pleasing unto the Lord.” Col 3:20 The service not only provides children an opportunity to show honor and respect to mother, but also opens a door to sow some seeds. Many family members will come to church for this service that normally don’t go. Some have stopped coming to church and many are still unsaved. So it’s a great opportunity to encourage Christians to come back to church and give the gospel to those who are still lost. It becomes a good testimony for the church. Thanks for all your prayers and support.